The Word of God Audio Bible: Mark has revealing and passionate performances from world class actors, an original music score and sound effects that make you feel like you are there with Jesus and his Disciples. Whether you have read the Bible once or a hundred times, this experience is one you won't forget! 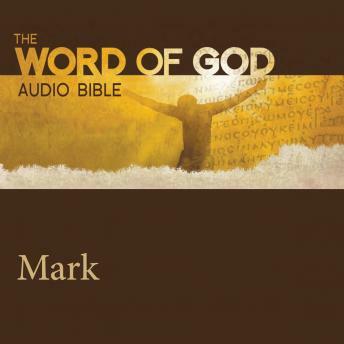 This presentation of The Word of God Audio Bible: Mark is taken from The Word Of God Audio Bible: New Testament which features performances by Neil McDonough as Jesus, Blair Underwood as Mark, Julia Ormond as Mary, the Mother of God, Kristen Bell as Mary Magdaline and many more!The Book of Mark stars Blair Underwood, Neal McDonough, Kristen Bell, Sean Astin, Malcolm McDowell, Brian Cox, Stacy Keach, Hill Harper and John Rhys Davies.